Napoli defender Kalidou Koulibaly has lost his suspension appeal and will now miss his side's clash with Lazio on Sunday. The Senegal international was sent off for a second bookable offence in Napoli's game against Inter last month, after sarcastically applauding referee Paolo Mazzoleni when the match was not stopped due to racist chanting from Nerazzurri fans. The Italian football federation (FIGC) ignored heavy criticism to confirm that they would uphold the initial two-match ban for the red card, but ​Napoli made an appeal against the decision. ​Sky Sport now report that the Naples side's appeal has been rejected, with Koulibaly now set to serve the second of his two-game suspension when his side takes on Lazio in ​Serie A at the San Paolo Stadium. Napoli boss Carlo Ancelotti revealed his dismay at the failure to stop the match, and insisted that were it to happen again, he would lead his team off the pitch. ❌ Napoli are unsuccessful in their bid to have Koulibaly’s two-game ban overturned, after HE was racially abused at Inter & lashed out in frustration. 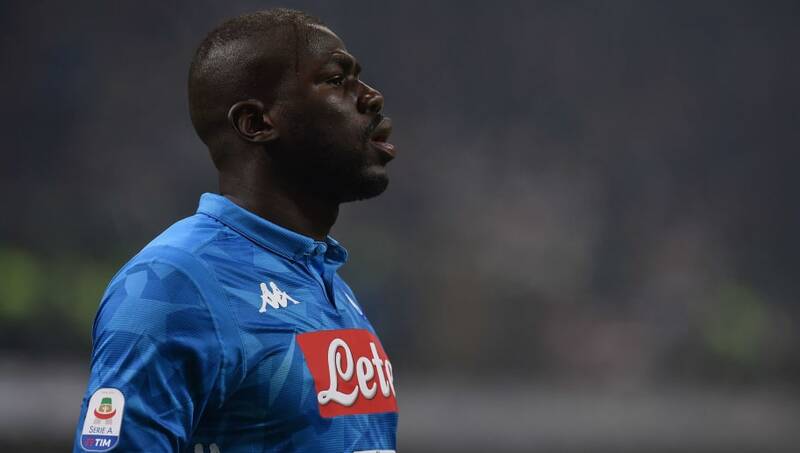 The Italian said (as quoted by ​The Daily Telegraph): "It [the racial abuse] shook him [Koulibaly]. He's a good-mannered player and he was bombarded by the stadium. "Despite our requests and the chanting, the game wasn't suspended. I think it should have been. Next time we'll stop playing ourselves. “It was impossible for him to be calm. He cares a lot about the issue of racism and he commits a lot of time to the matter, including in society. What happened is unacceptable, not just for us but for Italian football as a whole."